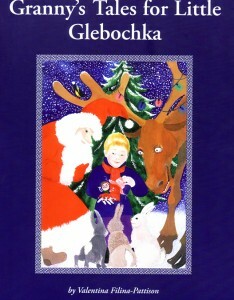 Сhildren’s Book “Granny’s Tales for Little Glebochka” for Elementary School Students. If my letter’s not so clear”. 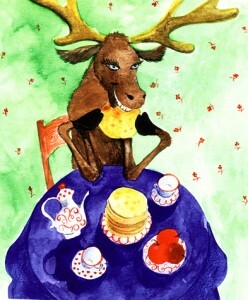 Actually my Grandma did not worry, on the contrary, she got glad having received a clumsy funny letter of mine. In the future as time went by she encouraged me in writing poems in any possible ways.That’s how things went on in those sweet old days. Nowadays I am a Grandma myself and it is the book with the stories or my Grandson, one illustration is shown here from this book. “Sinning Genie”, a Book of Poetry, a Poetic Chronicle of Sad, Joyful, Hopeful Expectations of a Certain Period of My Life Which Was a Transition from Mourning the Loss of Beloved John Pattison to the Realization That Was Within Me, a Creative, Outgoing, at Times Sponaneous Personality.